﻿ NTL 10A-F/NTL 10B-F_Wenzhou Natural Automation Equipment CO., LTD.
NTL 10A-F: Thermostat (normally closed); contact breaker for regulating heaters. The contact opens when temperature is rising. 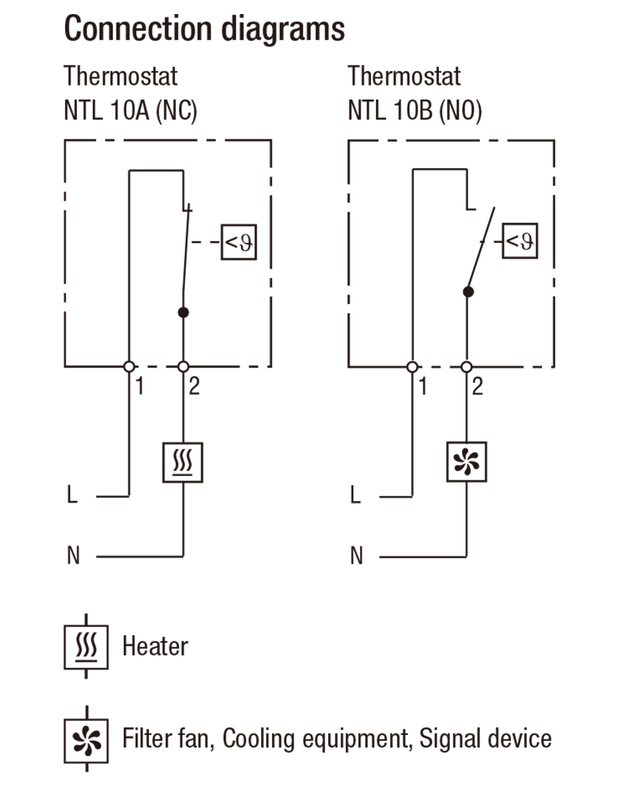 NTL 10B-F: Thermostat (normally open); contact maker for regulating of filter fans and heat exchangers or for switching signal devises when temperature limit has been exceeded. The contact closes when temperature is rising.